In addition to our Implementation Plans, we won’t leave you high and dry after your implementation is complete. 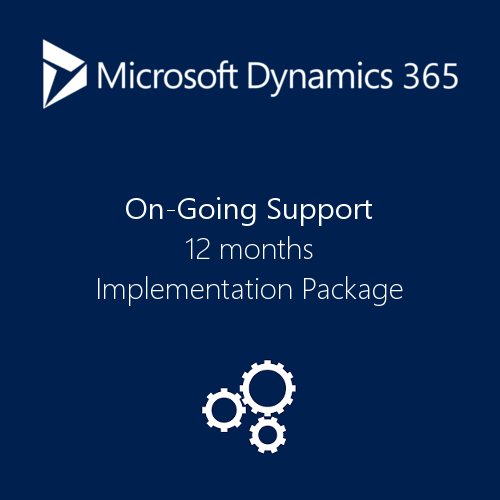 We offer a Full-Time Help Desk that you can call in or email to help with any issues you might be having with your Dynamics 365 environment. In addition to the Help Desk, you can get an On-Going Support plan for only $500/month which includes 4 hours a month of service that can be allocated at any time during the year. To request an ERP Implementation, please fill out the form below. We look at our implementation packages like flying on your favorite airline. You have Economy Class which is perfectly suitable and will get you there safely. Our Economy Implementation package will get you up and running in days with no fuss. In Business Class you get some more room, maybe a lie-flat seat, upgraded dining choices and access to lounges. Our Business Implementation Package will give you this type of services where you will not only get there but get there comfortably and with us easing the way. You will get in-depth implementation and training around your entire Financials module suite while still getting all the benefits from the Economy package. Lastly, First Class. You get treated like a royal king/queen in First Class. Access to a lavish flying style and customer service reps/flight attendants to help you every minute along the way. You will get that same “white glove” treatment from our First-Class Implementation Package. You will receive all the benefits of the Economy & Business Class packages but with First Class, you will get more planning meetings with your Project Manager, implementation of the Distribution modules if needed and in general more frequent support from our Consulting team. Choose which package fits your budget and company’s needs best! In addition to these Implementation Plans, we won’t leave you high and dry after your implementation is complete. We offer a Full-Time Help Desk that you can call in or email to help with any issues you might be having with your Dynamics 365 environment. In addition to the Help Desk, you can get an On-Going Support plan for only $500/month which includes 4 hours a month of service that can be allocated at any time during the year. Visit our Main Website to access tons of product resources.